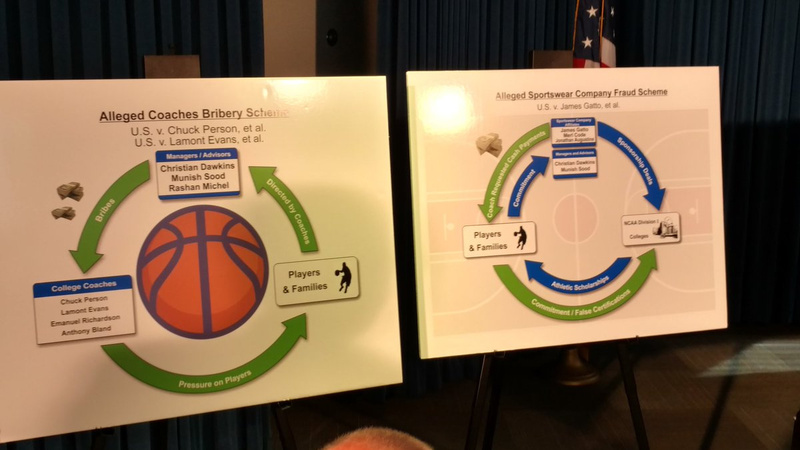 And we kick this off with the FBI busting Adidas and assistant coaches from at least 4 schools for fraud and other charges related to the paying of recruits to sign on the dotted line. 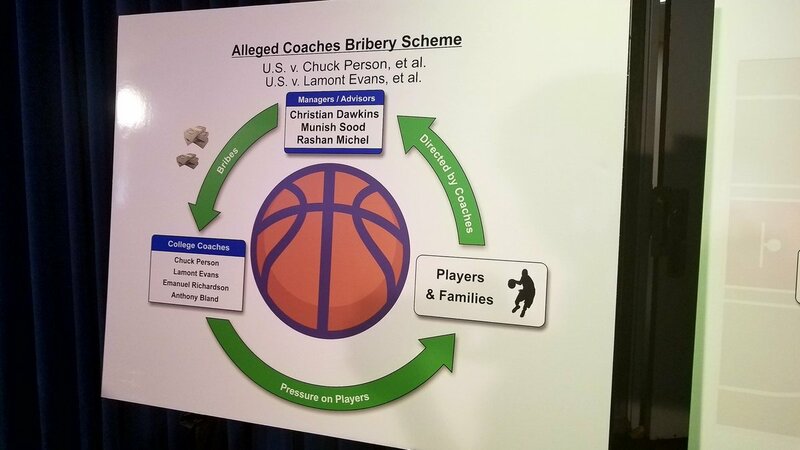 This is going to get juicy, because this isn’t the toothless NCAA doing the digging. This is the Feds. This is huge. For a number of reasons. Huge question: Will there be deals cut to keep people out of jail? And where will those fingers point? Can’t imagine that everyone arrested today isn’t going to roll over and sing sing sing. Fans from every major school are nervous. All the names haven’t dropped yet. But Louisville is pretty much a dead school walking. They’re identified and already under probation. Yeah, it’ll be interesting to see if Nike schools get hit next. And it is really hard to see how Pitino is going to survive this at Louisville, as you say. The Louisville boards have already skipped denial and what all and are simply anticipating the worst. Took care of things the old-fashioned way, by hiring their star recruit’s father. But Arizona is a Nike school and their coach was among those arrested. Yeah, the reddit thread is accurate on this. People are wary of laughing at other schools because the axe is only starting to swing. 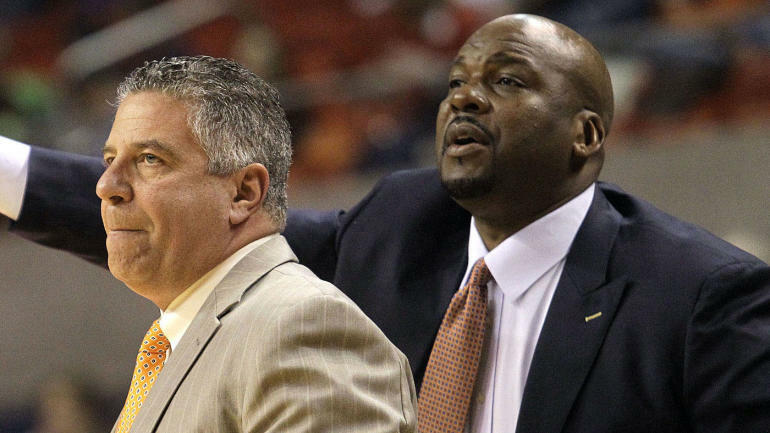 Bruce Pearl maybe not feeling like he’s got as much job security right now as he did 24 hours ago. FBI had an informant and was able to set up wiretaps and the whole shebang. Next step will be to flip the arrested into talking. This is ginarmois. Holy hell this is indeed huge. Who else falls under addidas? Given the same athletic sponsors and all the money there… how likely is it this spills over to football? This may be tied to the AAU circuit, which would indicate its basketball-only (for now). Even Pitino is on the record that he’s uncomfortable with the shoe company relationship with AAU. Yeah, the AAU seems to be the real commonality here. It’s a dirty, weird netherworld of funneling athletes into major programs. So last night, the Indiana boards posted something about hearing the Louisville trustees were trying to get rid of Pitino ASAP. 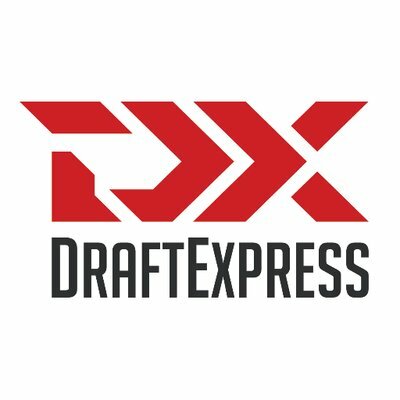 As a non-basketball guy, can someone break this down into simple terms? First, why/how is this a FBI thing now? I was under the impressions that it was all a big open secret. 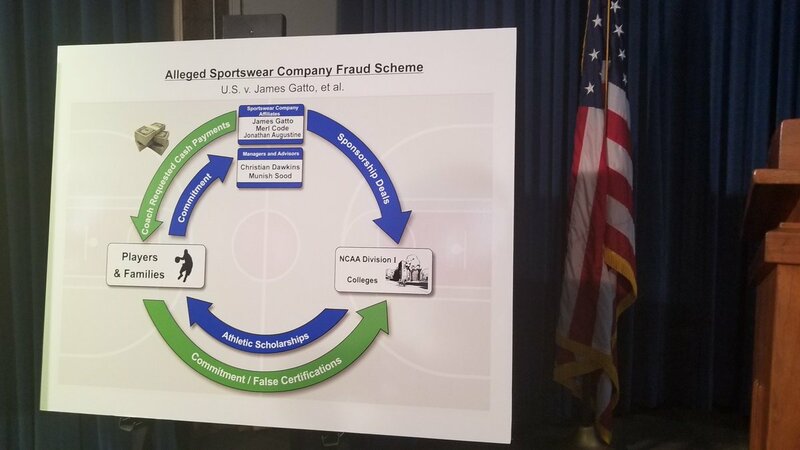 That everyone (even me) knew that these sportswear companies must’ve been paying colleges and school athletes a ton of money. Is this just one of those situations in which everyone knew about the crimes going on, but no one cared until now? Is this just one of those situations in which everyone knew about the crimes going on, but no one cared until now? Good question. Probably somebody wasn’t happy enough with their cut/situation and decided to raise a stink. Apparently a financial advisor got brought down on securities fraud by the SEC (not the athletic conference) and flipped and began singing. Thanks. That’s what I thought. Pretty amazing. I am curious though: which laws/statutes were violated here? …but I’m with Telefrog. Which laws are they citing here?